Kabu is an enemy in Kirby in the shape of a stone head. They move left and right to try to knock into you. Kabu appear in most games, the most recent being Kirby's Return To Dreamland for the Wii. Start at the top of the head and work your way down to the base. The pdo will be useful for the nose area. Banners and buttons created by Sasha. Difficulty buttons by Snowmonkies. You can view our F.A.Q. page here. 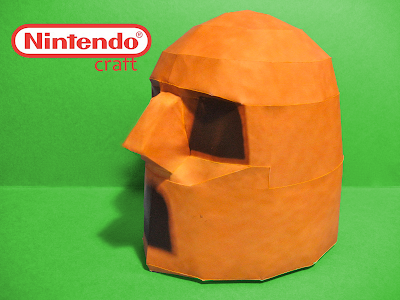 All of the crafts on this page are Copyrighted to Nintendo. Simple theme. Powered by Blogger.